CA California – DOC Finance Lenders Law License – License No. 6038205. CA California – DOC Residential Mortgage Lending Act License – License No. 4131076. CT Connecticut Mortgage Lender License – License No. 4035. 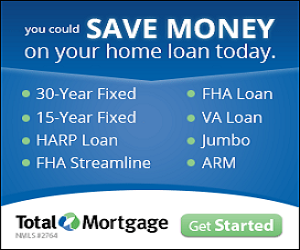 DC District of Columbia Mortgage Lender License – License No. MLB2764. DE State of Delaware Commissioner of Banks – First and Second Mortgage Lender/Broker – License No. 148357. IL Illinois Residential Mortgage License – License No. MB.6759847 – Address: 310 South Michigan Ave. Suite 2130 Chicago, IL 60604 – Phone/Fax Numbers: 312-793-3000 / 312-793-7097. KS Kansas Mortgage Company License* – MC.0025126 *Kansas Licensed Mortgage Company. MA Massachusetts Mortgage Broker License – License No. MC3712. NY Total Group in lieu of true corporation name Total Mortgage Services, LLC New York Mortgage Banker License* – License Number B500949 *Licensed Mortgage Banker – NYS Department of Financial Services. RI Rhode Island Lender License – License No. 20102698LL | Rhode Island Loan Broker License – License No. 20001144LB. SC South Carolina-BFI Mortgage Lender/Servicer License – License No. MLS-2764. TN Tennessee Mortgage License – License No. 109360. TX Texas – SML Mortgage Banker Registration – Registration No. 85512.